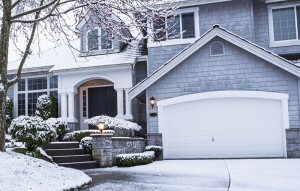 People are often reluctant to put their home on the market with winter approaching. The reality is that marriages and births, promotions and job transfers happen year-round, so people are looking for houses during all seasons. Selling a home during winter can actually work to the seller’s advantage, since potential buyers are usually relocating out of necessity, creating greater urgency. Regardless of the season, the key to selling any home is creating appeal. Adding thoughtful touches makes it easy for prospective buyers to envision themselves living happily in the house. These tips help make a home alluring despite, and in some cases because of, the winter season. Viewers need to be able to safely approach and enter a home. Regular snow and ice removal also makes a house look attractive and cared-for, adding to the image of desirability. Decor should paint a picture of a cozy, comfortable home for any season. Soft afghans, richly colored throw pillows and a crackling fire in the fireplace add up to a scene that will attract any prospective buyer. Heat should be set to a comfortable level well before viewers arrive. Sunshine and light can be precious commodities in winter. Curtains and drapes should be open all the way and windows should be spotless. Light fixtures should also be clean and hold the highest wattage bulbs possible. Crisp winter air makes vivid scents even more pleasant. The aromas of baking apple pie or cinnamon and spice candles boost a home’s comfort factor. Selecting one scent maximizes the effect and prevents an unappealing overload. There are fewer listings in the winter, but that doesn’t mean people will bite at an overly aggressive price. 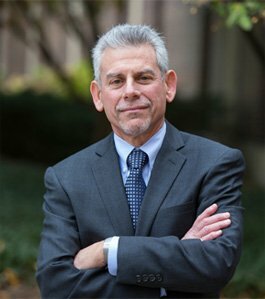 A Chicago real estate lawyer can provide valuable advice on setting a price that is realistic and balanced. With a little creativity and TLC, a home can be sold successfully any time of the year. A Chicago real estate lawyer can help smooth out any bumps for a streamlined process.